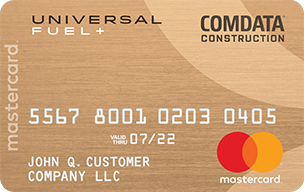 The fuel card built specifically for the construction and contractor industry from America’s leading fuel card provider - better manage your fuel and supply spend and help grow your business! Save up to 6¢ per gallon2 on fuel and 5% on maintenance3 at Firestone and Tires Plus retail locations. 24/7 roadside assistance, too!